A limitation of current tissue engineering vascular graft technology is the provision of an expandable, autologous cell source. By harnessing the multipotency of mesenchymal stem cells (MSC), it is hoped that functional vascular cells can be produced. To date, a range of 2D and 3D environments have been investigated for the manipulation of MSC differentiation pathways. To this end, this study aims to test the hypothesis that MSC seeded in various fibrin gel environments will exhibit evidence of a smooth muscle cell (SMC) phenotype. Initially, a range of cell-seeding densities were screened for 2D and 3D fibrin constructs, where it was observed that a seeding densities of 500,000 cells/mL facilitated gel compaction without degradation or loss in cell viability. Additionally, positive expression of CD49, CD73, CD105 markers and negative expression of hemopoietic stem cell-associated CD34 and CD45 indicated that MSC phenotype was retained within the fibrin gel. Nonetheless, a decrease in the gene expression of α-smooth cell actin and calponin was observed for MSC cultured in static 3D fibrin gels. 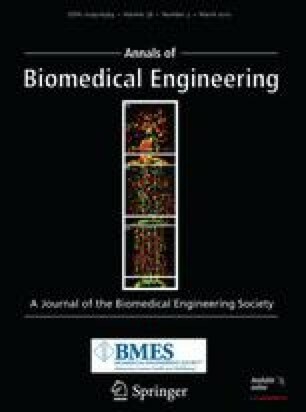 Although a slight recovery was observed after 24 h mechanical stimulation, the fold-change remained significantly lower than that observed for cells cultured on 2D tissue culture plastic. While MSC differentiation toward a SMC appears possible in both 2D and 3D environments, scaffold architecture and mechanical stimulation undoubtedly play an important role in the creation of a functional SMC phenotype. Associate Editor Kyriacos A. Athanasiou oversaw the review of this article.